The Sirens of Pacific Grove, California are being exterminated, and seventeen-year-old Loralei Reines is their next target. Lora may look like a normal teenager, but her voice has the power to enchant and hypnotize men. Like the other Sirens in her clan, however, she keeps her true identity a secret to protect their species. Lora’s birthright as the next clan leader seems far off, until the Sons of Orpheus, a vicious cult determined to kill all Sirens on Earth, begin exterminating her people. When an unexpected tragedy occurs, Lora must take her place as Guardian of the Clan. Lora is determined to gain control of her skills to help her clan, but they are developing too slowly, until she meets Ryan, a human boy. When Ryan is near, Lora’s abilities strengthen. She knows she shouldn’t be with a human. Yet, she can’t resist her attraction to him, or the surge in power she feels whenever they’re together. And the Sirens are running out of time. If Lora can’t unlock the secret to defeat the Sons of Orpheus, she, along with everyone she loves, will be annihilated. 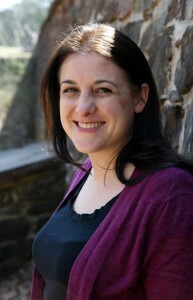 Bethany Masone Harar graduated with a Bachelor’s degree in English from James Madison University and a Masters in Secondary English Education from Virginia Commonwealth University. She has enjoyed teaching high school English ever since. As a teacher, Bethany is able to connect with the very audience for whom she writes, and this connection gives her insight into their interests. As a writer, she wants to make her readers gasp out loud, sigh with longing and identify with her characters. Bethany also enjoys posting on her blog, is a member of the Society of Children’s Book Writers and Illustrators, and is an avid follower of literary-driven social media. She resides in Northern Virginia with her husband, two beautiful children, and her miniature poodle, Annie. As a self-described Bathtub Mermaid, and someone whose first sound (other than her mothers voice) in the morning and last sound at night during the first two years of life was the sound of the foghorn over Raritan Bay, New Jersey, I know what it means to have the sea in your blood. 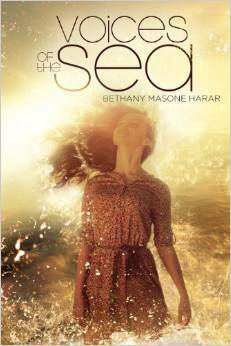 Bethany Harar obviously also knows this primal connection to the ocean, because the sirens she’s created in Voices of the Sea can hear the water sing to them, and, if they’re Guardians like protagonist Lora, can even hear it speak. What I really loved about this book was that it’s YA that transcends age-limitations. I’m 44, and I felt the cool caress of the Pacific when Lora got her feet wet, and shivered with her when the fog rolled in (though, it helps that I lived many years near the central coast of California). I also loved that Lora felt like a real seventeen-year-old, with needs and wants in addition to her Siren-self. All three of the men in Lora’s life, her childhood friend Will, her father, and new boy Ryan, are as dimensional as Lora herself, and I could feel the tension at being caught between these three personalities. As well, Lora’s grandmother, Devin, is someone I’d love to sit down and have a mug of tea or bowl of clam chowder with, preferably in her surfside cottage. It took me a while to figure out who the killer was, but Harar laid out the clues nicely. It wasn’t obvious, until, finally, it was. Harar weaves a lovely tale, and while everything was wrapped up by the end – romance, mystery, self-fulfillment, I found myself wondering if this was the first novel in a series, because I want more, More, MORE! Goes well with A burger, a beer, and the clam chowder sampler from the Blue Mermaid in San Francisco. This post is part of a blog tour sponsored by Wow: Women on Writing. Visit their blog, The Muffin for more information.